Since 1992, DJ Productions has been providing entertainment for weddings, family parties, reunions and more. Each one of their events has been a success because of their dedication to their clients. This company is trusted throughout the industry for delivering the best, stress-free service possible. Everyone will be dancing the night away when this company sets the mood. They will also help you coordinate the event to make sure it runs smoothly from your entrance to dinner to the cake cutting and more. Entertaining the guests at your wedding starts with choosing the right DJ. Rusch Entertainment is the premier Detroit disc jockey service. 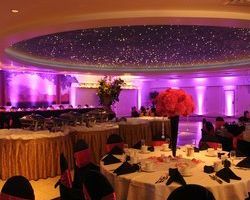 The countless events they have been hired for have always been successful and memorable because they give their clients the personalized attention and services that they deserve. The price of their services will not cost you an arm and a leg but is representative of their high quality entertainment. Rely on their experience and know how to make your event the best it can be. Starlight Productions is one of the best DJs in Detroit, MI. They know what sets them apart from the competition, which is why they list the main reasons clients hire them right on their front page. Making things easy for clients is only the beginning when you consider the high-energy experts who will bring your party to the next level. Using the newest sound and lighting technology, they truly entertain with songs from their extensive library. With free event planning, you really can’t go wrong with Starlight Productions. Having well over 1000 weddings to his credit, Michigan Wedding DJ - Dan Nichols knows how to work a party. Consistently in WeddingWire's top 5% nationwide, he's earned the spot on our site for best of. His attention to detail and making sure he's a fit with his clients makes him best in class year after year. He's a bigger investment but it comes with rewards. The entertainment a DJ provides should always be of the highest quality and should always be specific to their clients and the event they are serving. Reviews of M.K. Entertainment DJ say that they do just that. With music from every period, they are able to customize a playlist for each event. 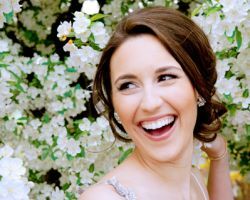 Your guests will be dancing the night away and perfectly transitioning through the event when you have this professional service to facilitate everything so you can have a stress-free wedding day. Finding a DJ with years of experience is great but it often means that their music and their MC services get stale. If you want someone with experience, but who is still young and fresh, then booking DJ Tiger is the best way to keep your party going to the late hours. This DJ has all of the latest hits as well as a huge library of music from the past for you to have a personalized playlist. 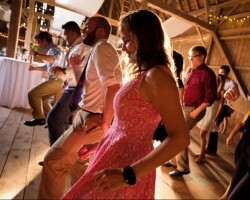 Using the latest equipment, this DJ serves events from proms to weddings with great energy. Go Pro DJs is an exclusive wedding DJ Company. With three different packages to choose from and the option to add on more services, you can be sure that you are getting the very best music and entertainment throughout the night. Whatever package you choose, you will have a DJ for at least 5 hours as well as a professional MC and high-quality lighting to match the different aspects of the event. 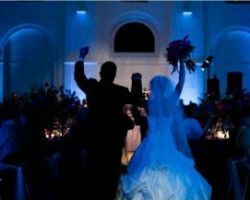 Go Pro DJs are the very best at what they do and are ready to make your wedding one to remember. 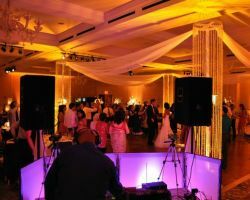 A DJ who not only suits your style but also suits your event is easy to find when you turn to Encore Wedding DJs. This company is known for serving the personal needs of their clients to the fullest. Not only will they play the latest hits, but they will also provide incredible lighting and a photo booth. 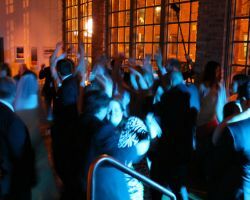 You will certainly be dancing the night away when these DJs are at your wedding, party, or event. Enjoy having the best DJ in Michigan from Encore.